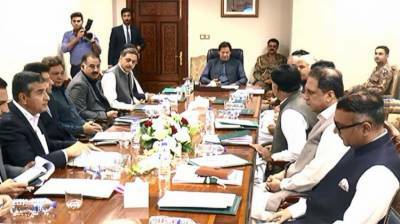 ISLAMABAD - Presiding over a review meeting on progress in reconstruction and development of merged tribal areas in Islamabad today (Wednesday), Prime Minister Imran Khan said that reconstruction and development of merged tribal districts is among top priorities of his government. He said people of merged tribal districts have rendered huge sacrifices for the country and suffered immense problems. The Prime Minister directed to ensure early payment of compensation announced by the government to mitigate the losses of people. He called for expediting the process of distribution of health insaaf cards among the residents of merged areas. He also directed to take immediate steps for ensuring to improve the power supply situation in merged areas during the holy month of Ramazan. The Prime Minister urged the public representatives to improve their contacts with people of the merged areas in order to ensure their participation in the journey of reconstruction and development.